Dr. Ulrich Eichhorn, who will lead the company research and development efforts. It appears as if he’s sort of had that job previously, as the company says he was head of Volkswagen Group research from 2000 to 2003. Then he made cars at Bentley for a while, but since 2012 he was the “Managing Director of the German Association of the Automotive Industry,” which is probably not some sort of internship he found on Craigslist. Fred Kappler will be responsible for VW’s sales, and he’s a company lifer, having started as a trainee in 1982. Michael Mauer is the current head of design at Porsche, but he’s now going to be adding responsibility for all of Volkswagen Group’s design, in addition to his day job. I bet he likes art. Wolfram Thomas is head of production, another company lifer. Ralf-Gerhard Wilner is now the chief of “Group Product and Modular Toolkit Strategy.” Another company lifer, having started at Audi in 1987, Ralf-Gerhard is “a trained toolmaker and holds a degree in automotive engineering.” You should hear him play musical saw. Gentlemen (and they are all gentlemen, how unusual), please try not to break any laws while you’re in the seat. Don’t have a very fuel efficient lineup? Do you make something called a Viper, with an absolute monster of a V10, but not make something called a Prius, which doesn’t? The Environmental Protection Agency said FCA has purchased about 8.2 million megagrams of emissions credits. A megagram is equal to 1,000 kilograms and is calculated on emissions saved over legal requirements. The government does not disclose how much automakers pay for credits. The report shows trading in credits jumped by nearly 400 percent in the 2014 model year — the most recent for which data is available. The EPA report said that FCA was in emissions compliance anyway in 2014, purchased credits or not, weirdly enough. The higher rates may increase borrowing costs and make it more difficult for them to afford a car loan, which could hurt sales. For instance, if interest rates suddenly increased by one percentage point, the higher borrowing costs could cause annual auto sales to drop by 3.25 percent, according to a report by Adam Copeland, a research officer for the Federal Reserve Bank of New York, George Hall, an economics professor at Brandeis University and Louis Maccini of Johns Hopkins University. This sounds bad in the short term, but in the long run, a lot of very smart people and economists say that this sort of thing is important to prevent our economy from overheating, bubbling up, and then causing a massive economic collapse whereupon Le Mans becomes nothing but LeMons. Which might actually be a good idea. If Americans have any one drug that they just can’t possibly quit, it’s the enormous, hulking SUV. For the vast majority of people, they’re completely unnecessary, and really only serve to bite you in the behind the next time the economy inevitably implodes and gas prices go through the roof. But like an addict finding a $20 bill on the street, once the car-buying public gets ahold of any cash whatsoever, it goes straight for the truck dealership. Americans have flocked back to pickups and SUVs as gasoline prices have fallen and that’s slowing U.S. automakers’ progress on fuel economy targets, according to new data released by the U.S. Environmental Protection Agency. “Without concern about gasoline prices, consumers are choosing to buy light trucks over cars,” analysts Kevin Tynan and Tanner Murphy wrote in a Dec. 7 note. Say what you will about the EPA and its data, but I can’t be the only person who remembers all the way back to a time long, long ago, in a year we called 2010. And in 2010, the price of a used hybrid of any sort was approximately a billion dollars because everyone just had enormous SUVs when the music in the game of economic musical chairs stopped playing and now no one could afford to fill up their car. The European Union’s anti-fraud office OLAF is investigating loans Volkswagen Group received from the European Investment Bank to produce cleaner engines. The authorities picked up the issue after EIB chief Werner Hoyer said in October the lender was looking into the loans itself in light of the emissions scandal. The credits were granted to Volkswagen to help fund the development of cleaner engines. 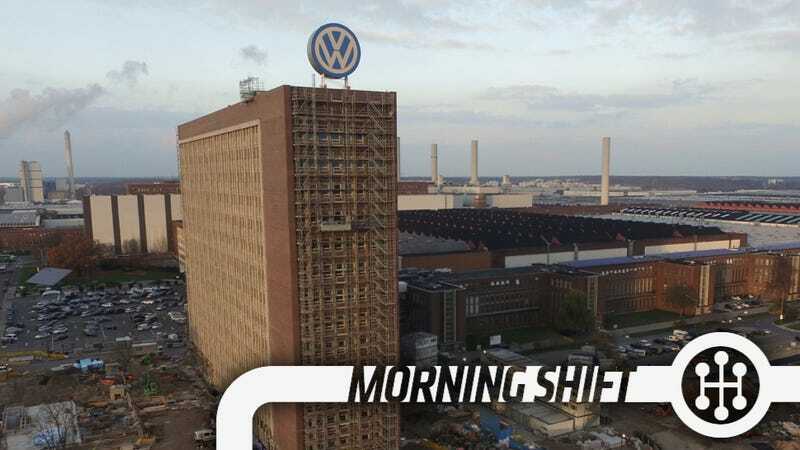 We’ve said this for a while now, but Dieselgate is going to last a long time, and it’s going to be very, very expensive and complicated for VW. On December 17, 1979, Hollywood stuntman Stan Barrett blasts across a dry lakebed at California’s Edwards Air Force Base in a rocket- and missile-powered car, becoming the first man to travel faster than the speed of sound on land. He did not set an official record, however. The radar scanner was acting up, and so Barrett’s top speed–739.666 miles per hour by the most reliable measure–was only an estimate. Also, he only drove his rocket car across the lakebed once, not twice as official record guidelines require. And, none of the spectators heard a sonic boom as Barrett zoomed across the course. Neutral: Which Big SUV Did You Buy? C’mon, admit it. Flush with cash from your new job, you didn’t get a Jalopnik-edition BMW 228i like you promised yourself you would. You bought a Chevy Suburban, instead, as the Cheap Gas Psychosis took over. It’s okay. We’ve all been there. This is a safe space to tell everyone what you did.